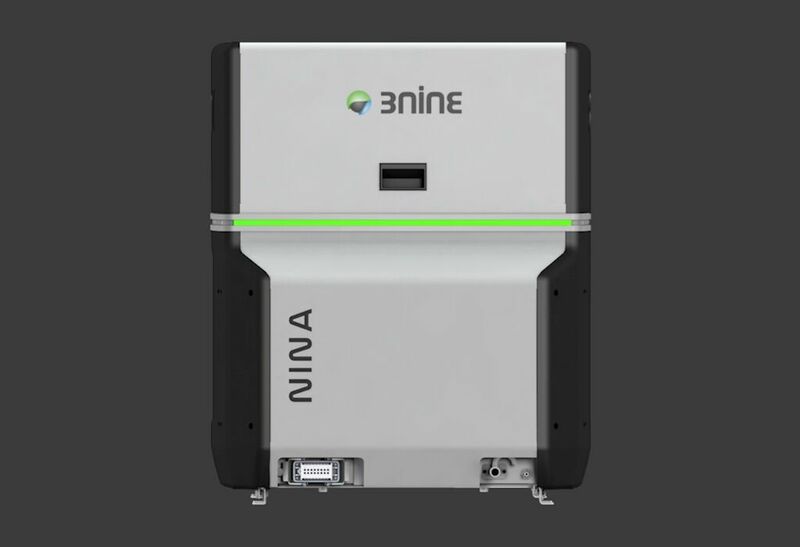 All oil mist eliminators from 3nine are based on Disc Stack Technology – a technology that is very efficient and lets you spend less time on maintenance. The oil mist eliminators in the GREEN LINE series clean the air in 3 steps. 1. 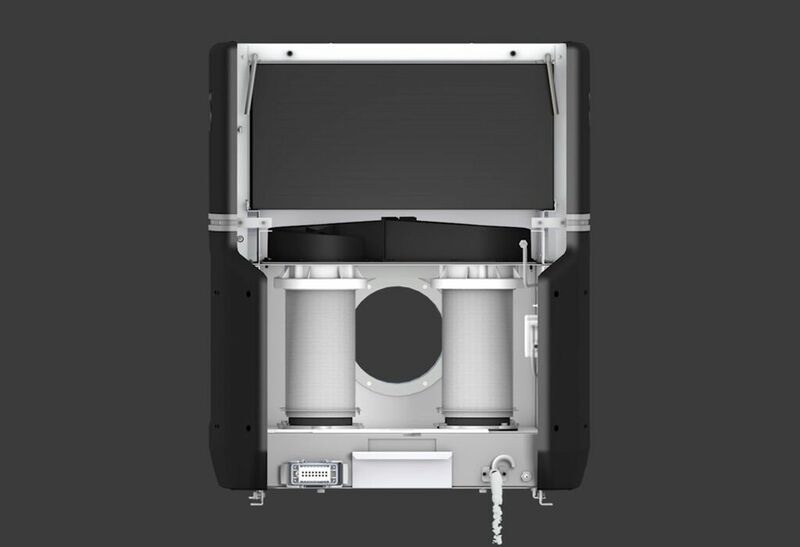 The counterflow air separates the largest particles. 2. The disc stack separates the smaller particles. 3. The HEPA-filter collects the smallest particles. Each rotor contains 95 plastic discs stacked on top of one another. At the top of the disc stack, there is a fan that creates the suction pulling the processed air from the machine tool’s cabin into the rotor chamber. The processed air containing airborne fluid particles begins to flow around the rotor. 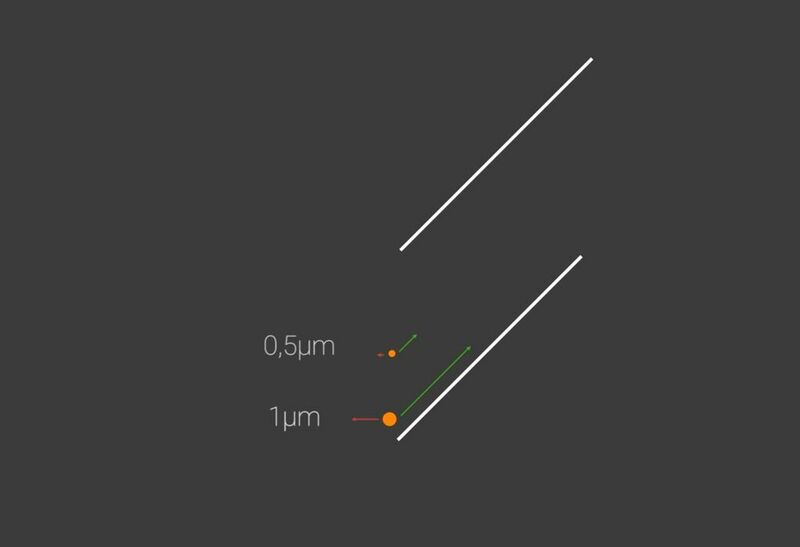 The counterflow effect prevents the larger particles >10 µm, from entering the discs, and are separated out immediately. This makes the technology suitable even for difficult applications with a lot of solid particles such as grinding or die casting with emulsions. 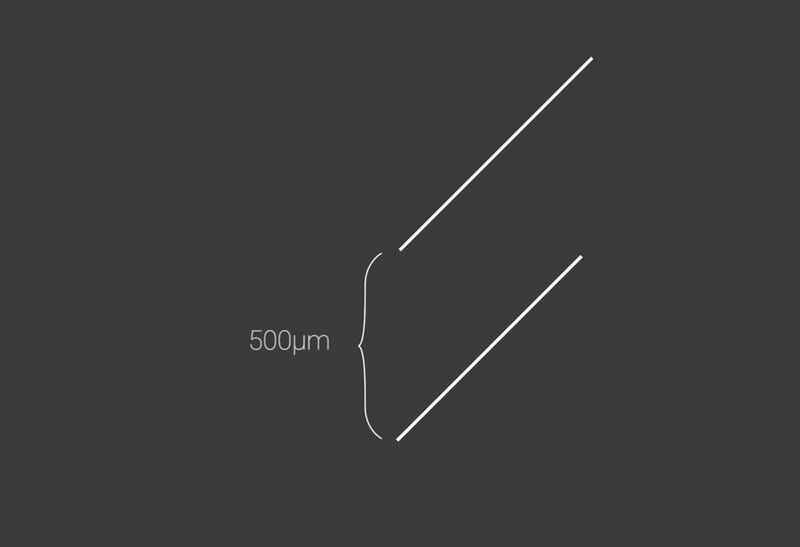 The space between the discs is 0.5 mm or 500 μm. 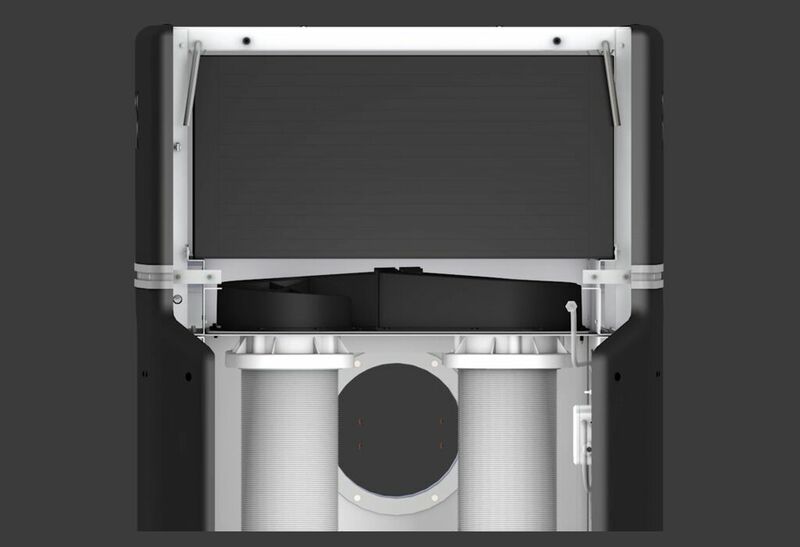 This is where 100% of all particles between 1-10 μm will be separated out. 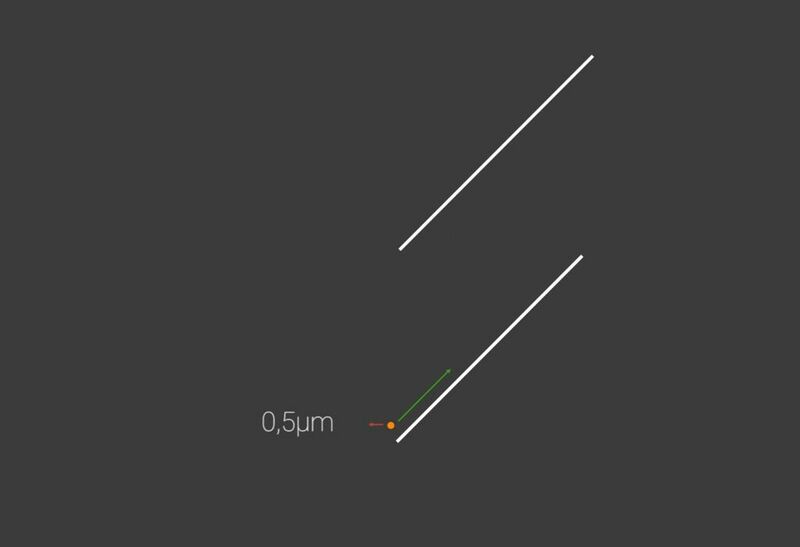 The speed of the particles is affected by both the air velocity (green arrow) and the particle settling speed relative to the air velocity (red arrow). 1 μm is the smallest particle size that is separated out to 100% efficiency, even when it starts at the worst position possible on the disc. There’s even a certain percentage of particles smaller than 1 μm which will land on the discs and be separated if they start from a favorable starting point. 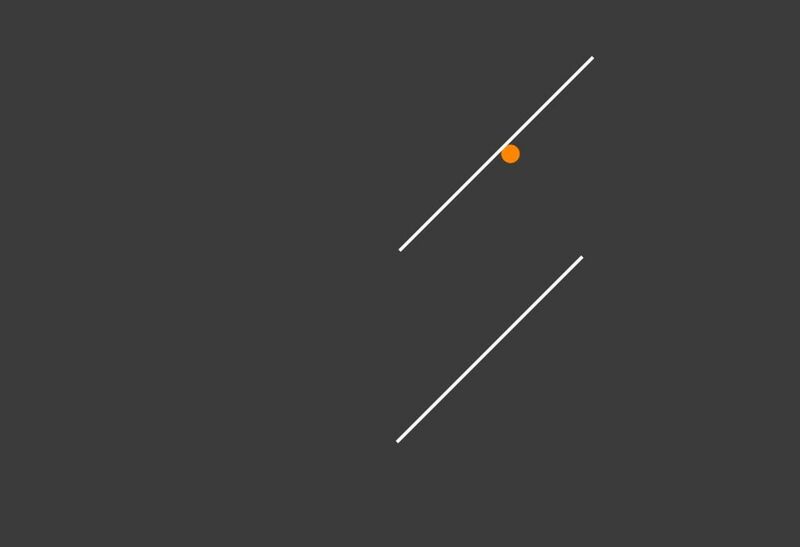 Particles landing on the discs will begin to coalesce and form larger particles. The bigger they are, the heavier they become, and the faster the particles will move towards the edge of the disc, where they will be separated out as droplets. 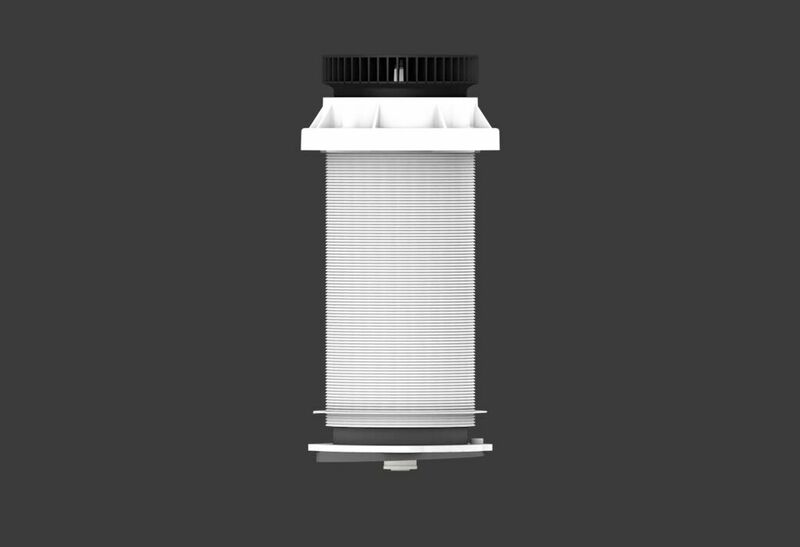 Particles smaller than 1μm starting from a poor position on the disc will not be separated out in the rotor but are instead taken care of by the HEPA-filter. Particles smaller than 1 μm are pushed to the HEPA-filter. Since most particles are separated in the rotor, the HEPA-filter will last – on average, our HEPA-filters have a life span of 30 months! When it comes to tough and dirty applications like grinding or machining cast iron, some particles may stick to the edge of the discs. With our patented automatic cleaning system called CIP, the rotors are washed continuously during the machining process which prevents clogging. The CIP uses clean oil or coolant from the machine tool. 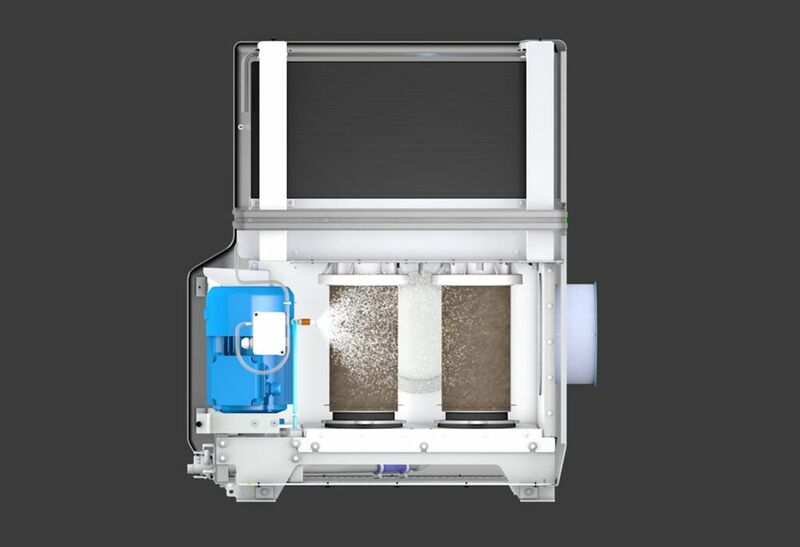 For extremely tough applications, you can also set a wash cycle at every startup and or shutdown of the oil mist eliminator. The GREEN LINE is the only technology on the market that can separate such a high proportion of small particles without multiple filters. The separated oil/coolant is returned to the machine tool for immediate re-use. 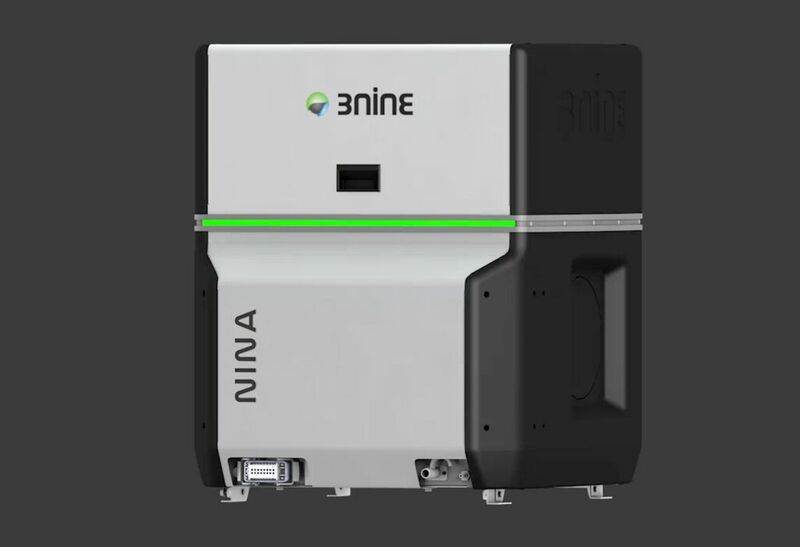 3nine oil mist eliminators separate millions of liters of oil every year in the Metal Working Industry! All GREEN LINE oil mist eliminators have a built-in system control box which monitors and reports on the HEPA-filter and the airflow status. The status of the machine is communicated through a LED RGB-strip on the front and back of the machine.